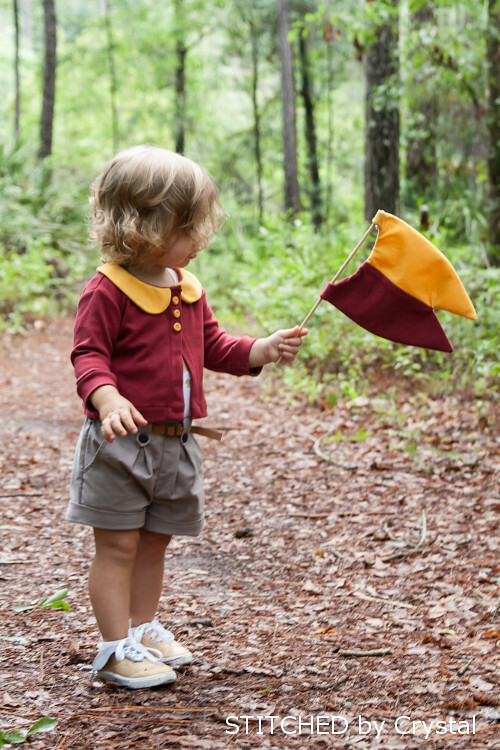 Did you catch the Quidditch inspired outfits I made my kids a couple weeks ago? 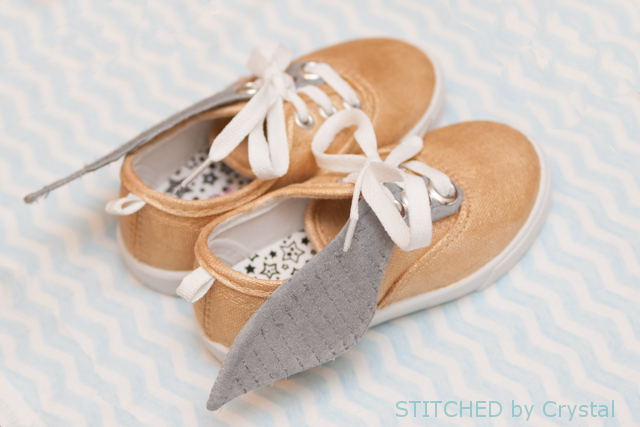 When Amy and Maegan contacted my about participating in CraftingCon, the first thing that popped into my head for Harry Potter month was a pair of golden snitch shoes. 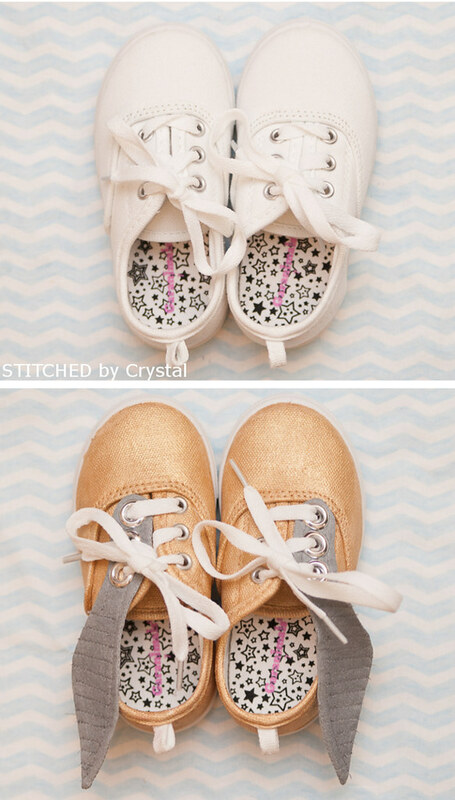 I took that idea and ran with a whole quidditch theme and incorperated these adorable little shoes into Em's outfit. If you are wondering what the heck a snitch is, I will fill you in... A snitch is one of the 4 balls used in the wizarding game of Quidditch played in Harry Potter. It is a small gold ball with silver wings that is enchanted to fly around during the game. The player who is the seeker has the task of catching the snitch, and when he does, he scores 150 points for his team. These shoes were quick to make, seriously the hardest part was finding white canvas shoes in Em's size (which I ended up finding really cheap at Walmart). In addition to the shoes, all you need is some fabric paint, a bit of grey fabric, some heavy iron on interfacing and some grommets. 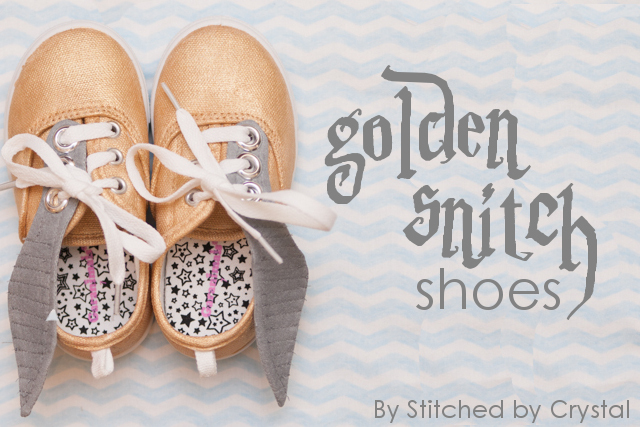 Want to make some golden snitch shoes? I will show you how! 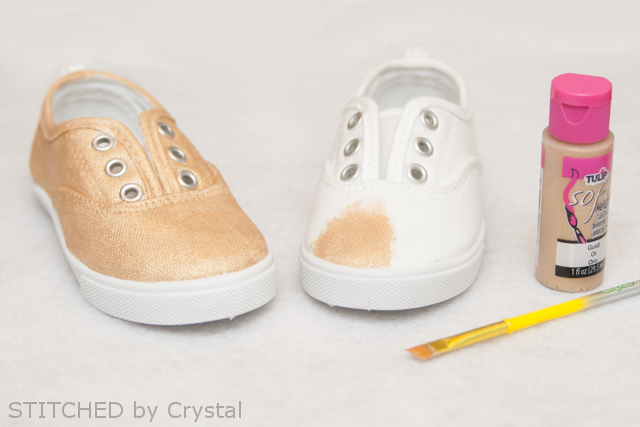 Start by taking the laces out of the shoes and giving them a good coat of shimmery gold paint. once the paint dried, I threw them in the dryer on high heat to heat set the paint. Next sketch out a snitch wing shape (or download mine here, it works well on these size 7 shoes, but would probably work for ther sizes too. 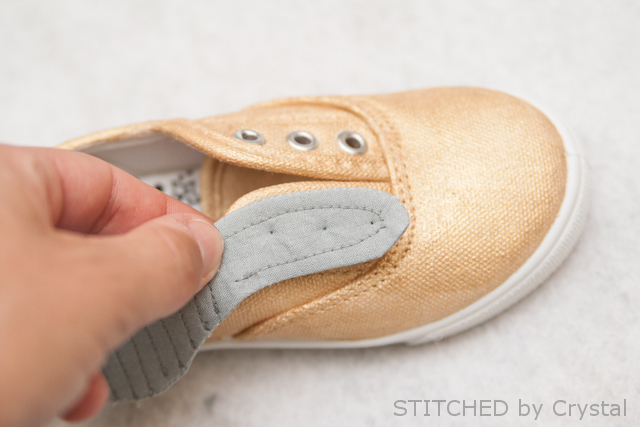 There is only room for 3 grommets but could easily change it a bit to add more grommets, or just lace it in the top three holes on your shoes.) 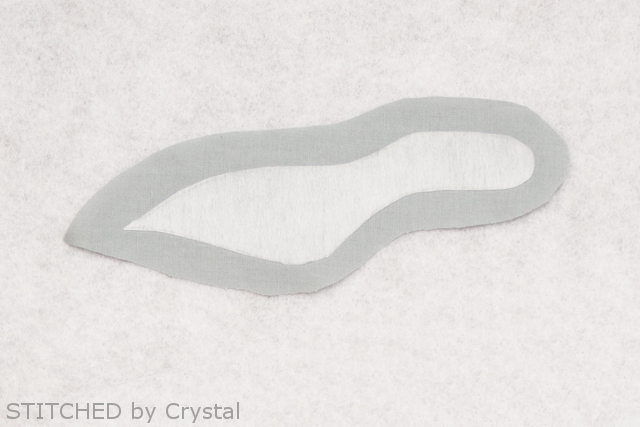 Use your wing template to cut out 2 pieces of interfacing and 4 wing pieces. Iron the one of your interfacings pieces to the wrong side one of your wing pieces, centering the interfacing on the wing. Repeat with other piece of interfacing. 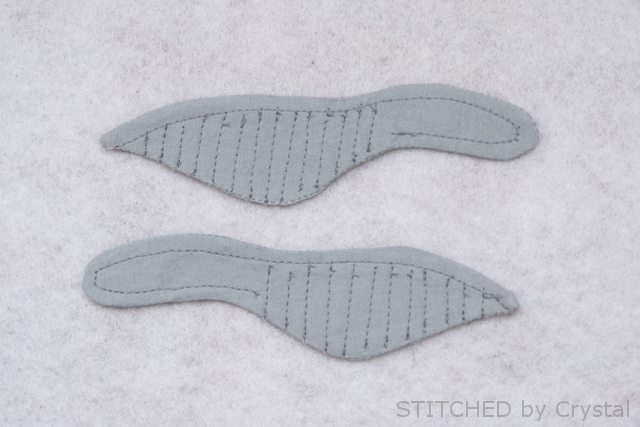 Place one of your wings with interfacing right sides together with one of your wings without interfacing. 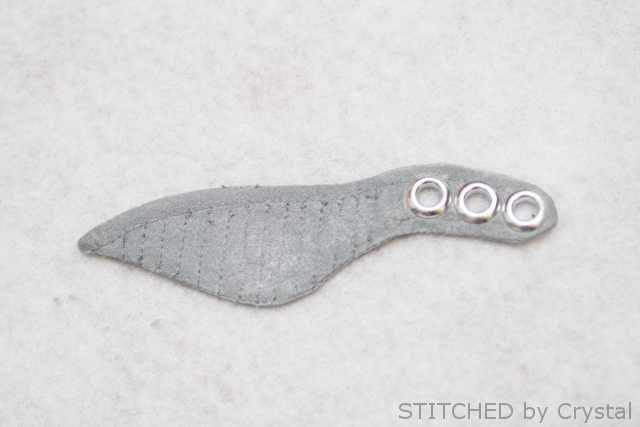 Sew around the wing just outside of your interfacing, leaving a small hole to turn the wing. Repeat with the other wing. 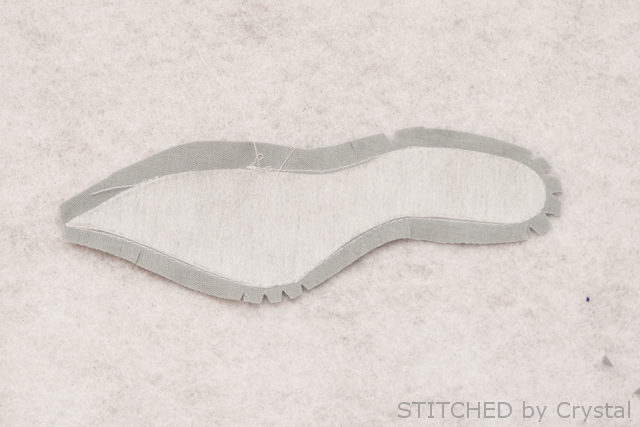 Trim your seam allowance and clip and notch the curves. Turn your wings right side out and press them. Topstitch around your wing to close the opening, I added some decorative topstitching to my wings to make them look a bit more snitch-like. 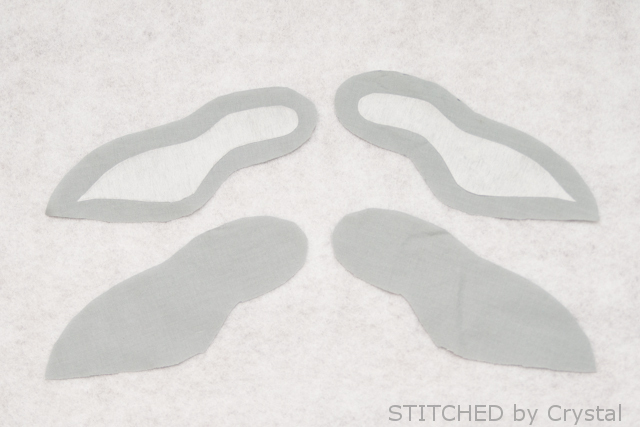 Hold your wing up to your shoe and mark where the holes for the laces are. Add your grommets to your wings. I painted a bit of silver paint on my wings to make them shine. 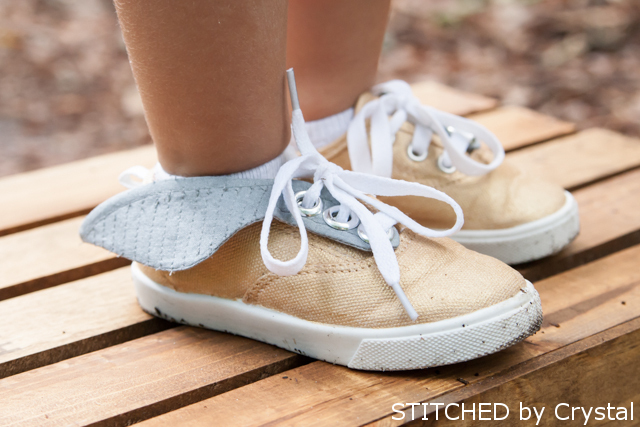 Lace your shoes up with the wings in place.